Emler Swim School Oak Hill serves the Austin communities of Bear Creek, Circle C Ranch, Cedar Valley, Oak Hill, Barton Creek, Lost Creek and Sunset Valley. We’d love to find out more about how we can best serve you. Call us for personalized assistance or click below to jump right in! Classes start February 18 ~ enroll anytime! Learn about our pro-rated pricing for this semester! Call, stop by or complete the registration form below, and we’ll be happy to help you find the right fit for your student. Classes start March 31 ~ enroll anytime! 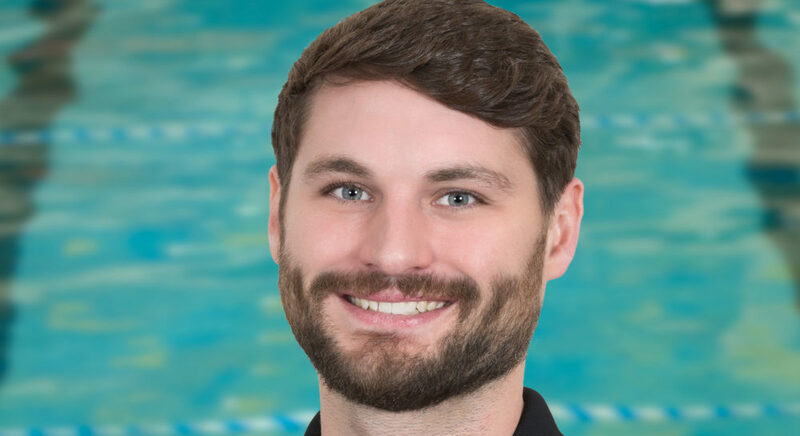 Mark began his Aquatic Career almost 10 years ago as a swim teacher in the Chicago area. Looking for more sun, Mark attended the University of Mississippi, graduating with degrees in Psychology, Business Administration and Spanish. Post-grad, Mark wasn’t ready to return to the cold weather and moved to Austin where he began his career with Emler in the summer of 2016. Initially hired as a Lead Deck Manager, he was promoted to Aquatic Director for the Westlake location in 2017. He has recently taken on the role of Site Director at Oak Hill to help continue the education of water safety to the south Austin community. Seeing our children and our staff grow into strong, independent people who genuinely care about others. Our staff learns how to help a nervous child for the first time, that child learns to love the water, and then the class starts to cheer each other on as they conquer their fears. It’s a domino effect that warms your heart. I think the emotional attachment I have for every person who walks through our doors. If you’re in my building, my goal is to make sure your day gets a little better. Being the youngest of 5 children, I always wanted to do what my siblings were doing. However, I was a little TOO confident around the water and had to take swim lessons alone. I didn’t like that at all! I spent my first swim lessons sitting on the steps, refusing to swim since my brothers and sisters got to play in the pool. Just the fun we have and the relationships we build. Some days it’s hard to get work done because we become best friends. As a young child, I was an equestrian and trained to be a competitive Hunter Jumper. At first I was nervous, and then those nerves were reinforced when a horse threw me off his back while going over a jump. At that point I was scared. The horse looked bigger than he ever had. However, I knew that if I didn’t get back on the horse I never would again. Through the support of my mother and coaches, I was able to face my fears and ride again.